The Utah DOT TAMP is available here. • Risk assessment results incorporated into investment strategies. 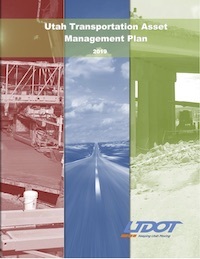 The asset scope of this document is: Highway Assets, ITS, Includes other highway assets, Signals.